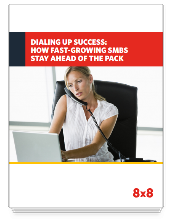 How Fast-Growing Small Businesses Stay Ahead | 8x8, Inc. Learn the secrets of fast-growing SMBs based on detailed survey results. Fast-growing businesses have two things in common: a focus on customers and the need for efficiency. We surveyed 312 small and medium businesses (SMBs) to discover how fast-growing companies use business communications differently from their slower counterparts. The results are instructive—regardless of your growth rate. 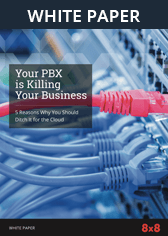 Whether your goals are to grow market share or to maximize profit, this white paper will show how your business phone system can keep you ahead of the pack too.